Cristian Chirila is the new coach of the MU Chess Team. Chirila learned the game from his father and has won numerous competitions throughout his career. He is also a popular chess commentator. COLUMBIA, Mo. – While most kids his age were busy learning shapes and pedaling tricycles, 5-year-old Cristian Chirila was picking up his first pawn. The now 28-year-old Romanian grandmaster has won chess titles and tournaments all over the world and is taking on a new challenge: coaching the first MU Chess Team. Millions of people play chess around the world, and with the World Chess Hall of Fame and renowned Saint Louis Chess Club, some have even called St. Louis the chess capital of the world. “Mizzou is home to top athletic teams, and I am planning for the MU Chess Team to continue that tradition of excellence and be a top competitor from year one,” said Chirila, who attended the University of Texas at Dallas on a chess scholarship and had been coaching chess in the Bay Area of California. Chirila has already started the first steps in recruiting a team of highly skilled titled players from around the world who will compete in intercollegiate chess competitions for Mizzou beginning next fall. These undergraduate and graduate players will receive university scholarships, live and practice together in dedicated space in Respect Hall, and travel to competitions throughout the year, with a goal of growing the size of the team each year. There is already a built-in chess fan base at Mizzou. Through investments in K-12 chess programs in St. Louis — which draws more MU students than any other city — chess has become a staple for many current and future Tigers. Additionally, MU’s largest out-of-state population, Illinois, has the largest high school chess system in the country. The team is being launched through a partnership with the Saint Louis Chess Club, which has an almost $800,000 grant agreement with MU to support the creation of the team. Opened in 2008, the club and its extensive educational and competitive opportunities are responsible for making chess synonymous with Missouri. “The Saint Louis Chess Club is thrilled to partner with the University of Missouri and is looking forward to working with the team as we continue to grow and advance chess,” said Rex Sinquefield, founder and president of the St. Louis Chess Club. 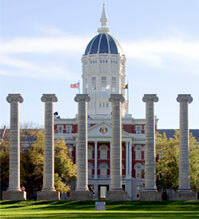 As the program is developed, MU will collaborate with the Club to become a chess resource for the state of Missouri. There are plans to develop chess summer camps, state and national high school chesstournaments, distance-learning courses on chess, and chess teacher certifications. Additionally, the university is interested in hosting new collegiate events in cooperation with the U.S. Chess Federation to create more opportunities for collegiate players to compete. Chirila, who learned the game from his father, also a chess coach, has won numerous competitions throughout his career, including the prestigious World Youth Championship in the U16 category in 2007 and the National Open in Las Vegas last summer. He is also a popular chess commentator. Follow the MU Chess Team on Twitter at @MizzouChess.